Self indulgent art ahoy. Here's the other main character (and my absolute favorite in every book), Christopher Chant. 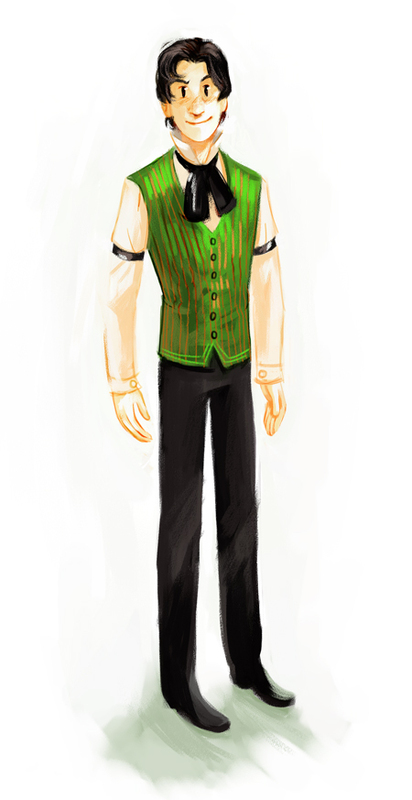 He also happens to be big man Chrestomanci himself, even though this before he officially gains the role. While Conrad's quite a bit more down-to-earth (look at that melancholy demeanor), Christopher can be kind of arrogant and pompous.